Register by Jan. 31 to receive $10 off Futures registration. 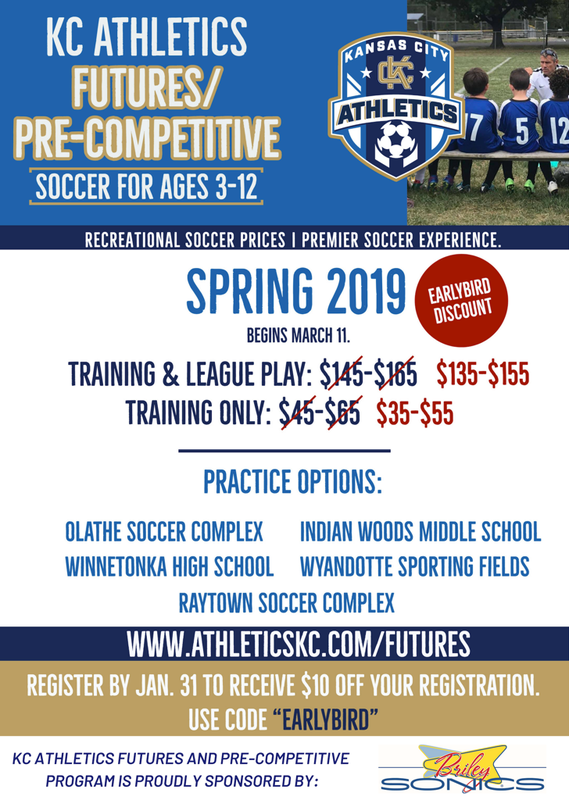 Register by Jan. 31st to receive a $10 discount on your Spring Futures Registration! Simply enter the code "EarlyBird" during registration. MORE INFORMATION ON THE FUTURES & PRE-COMPETITIVE PROGRAMS.